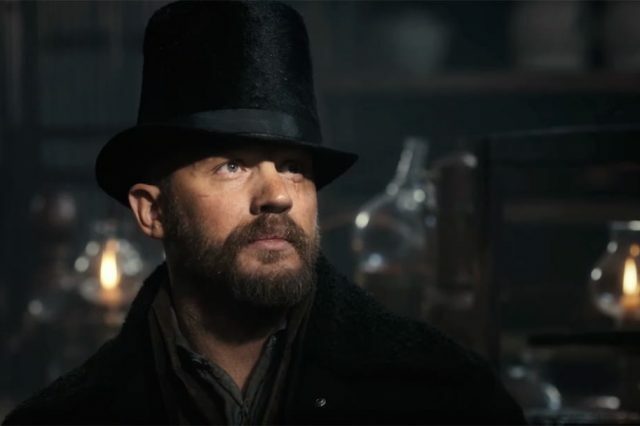 Tom Hardy has lost a whopping £2 million on his new, self-written, produced and acted period drama Taboo. The BBC One series, which was created with his father Edward, tells the tale of an adventurer in the 19th century, James Delaney, who takes on the powerful East India Company. Having spent as much as £10.4 million on the show, Tom took a sizeable financial hit as it has only brought in £8.4 million so far. The 39-year-old actor created Taboo Productions Ltd to manage the finances for the eight-part series, but his first solo venture has financially flopped. The series, in which Hardy consistently demonstrates how much of a hard-man he is, has been directed by the famous Ridley Scott but has had surprisingly modest viewing figures. No matter who you are or how much money you’re worth, £2 million is a lot of money to simply throw away. This is the first major TV drama Tom has overseen himself. He has written it, produced it and starred in it, so he was always going to come up against some difficulties. Tom will hope to eventually make the money back through DVD sales, downloads, streaming and syndication rights. As well as being aired in the UK and in the US, ‘Taboo’ has already been sold around the world in the likes of Spain, Portugal and Russia. Despite the show being a disappointment financially, the drama is among the most-watched shows on the catch-up service BBC iPlayer. Watching #TABOO Phew..and so it goes on. The weirdness of it. Tom Hardy…Good! Spooky, sinister program…Fabulous! A bit. Taboo is a bloody brilliant show. Tom Hardy is exceptional as always. #TABOO is very good, gritty, interesting and Tom Hardy is an extra bonus! ??? Sat nights are all about Tom Hardy's #Taboo Brilliant television! Tom isn’t allowing this stumble at the first hurdle to affect his plans as he already has plans for a second series. Which probably in turn means he is confident he’ll be able to make up that £2 million loss.